Research scientists are finding that the “right” combination of bacteria in your intestine may help burn fat cells, prevent autism, prevent brain diseases like Alzheimer’s, keep cancer at bay, and even alleviate anxiety and depression. This almost sounds too good to be true! Probiotic supplements are becoming increasingly popular. Walk down the dairy aisle and you will be flooded with probiotic enhanced yogurts, drinks, and even cheeses. Doctors are saying that we need the “right” gut bacteria to balance our digestive system. We are even being told that our gut is our second brain! Is this true? And if it is, are probiotics the intelligence behind the brain? Every day we have trillions of intestinal bacteria working hard to convert food into nutrients, make vitamins, digest our food, reduce gut inflammation, and keep our immune system strong. 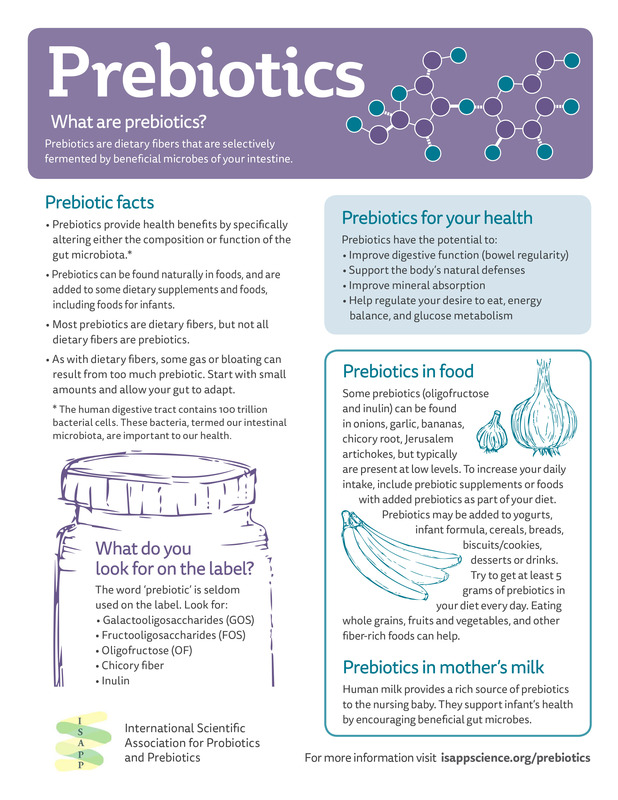 What is the difference between Prebiotics and Probiotics? Prebiotics and probiotics set the stage for good bacteria. Prebiotics enter your stomach, survive the acidic environment of a pH from 1.5 to 3.5 (a neutral pH is 7.0), and move into the small and large intestine to feed the good microbiota in your gut. This means the prebiotics actually feed the probiotics. Probiotics would not be able to do their job properly without prebiotics. But, you don’t need to look for a supplement to get some good prebiotics. They are very easy to incorporate into your diet! Foods like asparagus, leeks, artichokes, onions, chicory, endives, and yams will give your body good prebiotics to help aid the probiotics in your small and large intestine. Probiotics, (pro and biota, “for life”) are live bacteria that live in your small and large intestine and help maintain overall body health. Besides digesting your food and assisting with vitamin creation, new research indicates that probiotics keep your immune system strong, prevent infections, and help control inflammation. The good bacteria creates a slightly hostile environment where bad bacteria (such as salmonella, E. coli, fungus’ and yeast) find it difficult to survive. Incorporating probiotics in your diet is easy with yogurt, kefir, soft cheeses, or fermented foods such as sauerkraut, sour pickles, miso soup, or cabbage. Now, what is this so called “second brain” ? The gut is often referred to as the second brain because it has its own nervous system in the gut called the enteric nervous system. It is a network of millions of neurons that signal to each other as if they are in the brain in our head and they use the same chemical factors and proteins to signal to each other. So similar findings to microbes in the gut that could affect the nervous system in the gut. One interesting statistic is that microbes are required for a large proportion of serotonin synthesis and they affect neurotransmitters and neuropeptides signaling factors for neurons. Of course, the human brain makes all of our logical and intellectual decisions. However, it is the “brain in our gut” that contributes to our health and emotions. The gut has its own nervous system, which is a network of millions of neurons. They signal to each other and use the same chemical factors and proteins as the ones in our head. 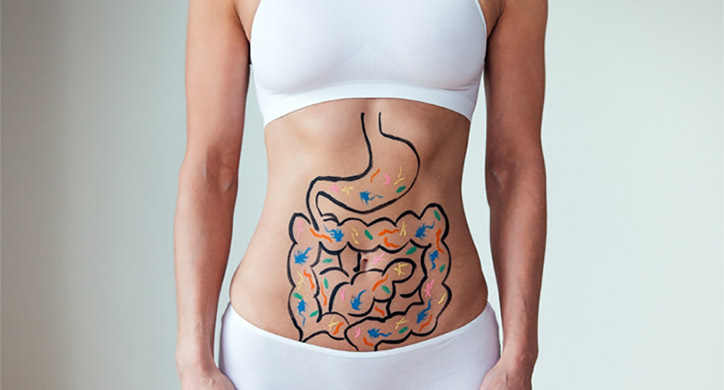 The brain and gut then talk to each other using the Vagus nerve, which connects the two and is part of the enteric nervous system (ENS). To better understand the role of gut bacteria, new studies have taken two groups of genetically identical mice: one group with the normal amount of microbiota and one without any at all. These experiments showed a marked difference in social behavior and brain function based on the absence or presence of gut microbiota. These initial studies inspired scientists for further research to understand which microbes perform specific functions. Additionally, researchers are discovering that the bacteria may be a coded intelligence. This means specific types of bacteria can tell your cells, and even your genes, what to do. This is controlled through the epigenome system, which is made of DNA proteins in the cell which can alter the gene functionality. A fascinating example under investigation is showing that certain bacteria can turn on or off certain genes such as those involved in Alzheimer’s. The exciting research on gut microbiota – the name given to the microbes living in our intestines – is just beginning to grow. The more we understand about the tens of trillions of microorganisms in our gut (which represent over three million genes) the more we can learn about what is the optimal combination to keep our immune system strong and our emotions happy. But this is not as easy as just throwing a bunch of bacteria into a petri dish and analyzing through a big data computer program or a ‘human simulator’. 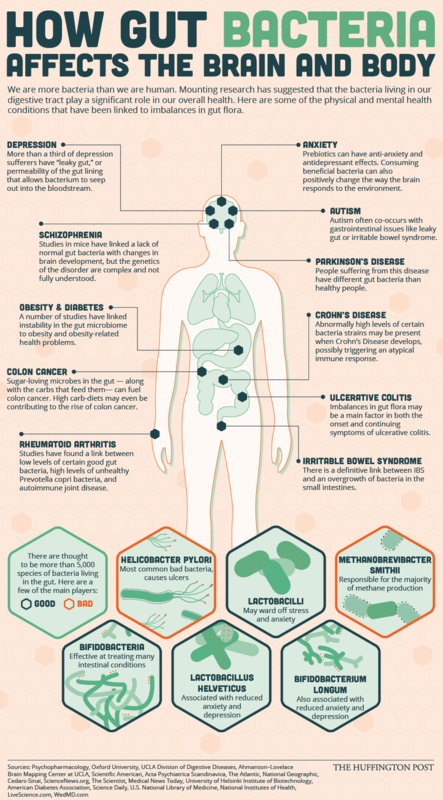 Every human being is estimated to share about 1/3rd of all the gut microbiota. The remaining 2/3rds (approximately) is believed to be unique to each individual. Each person hosts a unique set of microbiota and every human reacts differently to various microbes. Examine someone’s microbiota in their large intestine and you can even tell where they grew up! If you were born and raised in Iowa, you have a much different gut microbiota than someone living in India. If you were born via caesarian section your bacteria is different than someone who was born naturally. Were you breastfed? That makes a difference as well. If you were allowed to eat dirt in the garden and roll on the floor with a puppy your immune system developed much differently than if you were raised in a busy city. Your microbiota is also evolving every day based on what you eat, where you travel, and how you live. Today’s exciting research of microbiota goes beyond the just the basics. In 2015 alone, more than 1,700 papers were published regarding the relationship between your gut bacteria, diseases, and your mental health. Each type of bacteria has a specific set of genes, which makes the bacteria unique to the host. Some are better pathogen fighters, some adhere to the intestinal wall, and some act as anti-inflammatory agents. Doctors and researchers are looking at the effects of specific microbiota and autism, intestinal cancer, weight loss, irritable bowel syndrome, celiac disease, and brain disorders such as Alzheimer’s. The list is endlessly exciting. The relationship between gut microbiota and overall immune function is strong and understanding this will have a huge impact on our health. Albeit this is very new research with very preliminary results. Currently, two leading European organizations are collaborating on a significant portion of research concerning probiotics. MetaCardis is a research project investigating the role of gut microbes in cardio-metabolic diseases (CMD). These discoveries will enable the development of future CMD treatments. My New Gut is a project that will “research how the human gut microbiota and its microbiome influence obesity, behavioral and lifestyle-related disorders, and vice versa. It also helps to identify specific dietary strategies to improve the long term health of the population.” MetaCardis and My New Gut findings and collaborations with other organizations will set a new frontier for human health. A great resource for this progress is Gut Microbiota for Health. 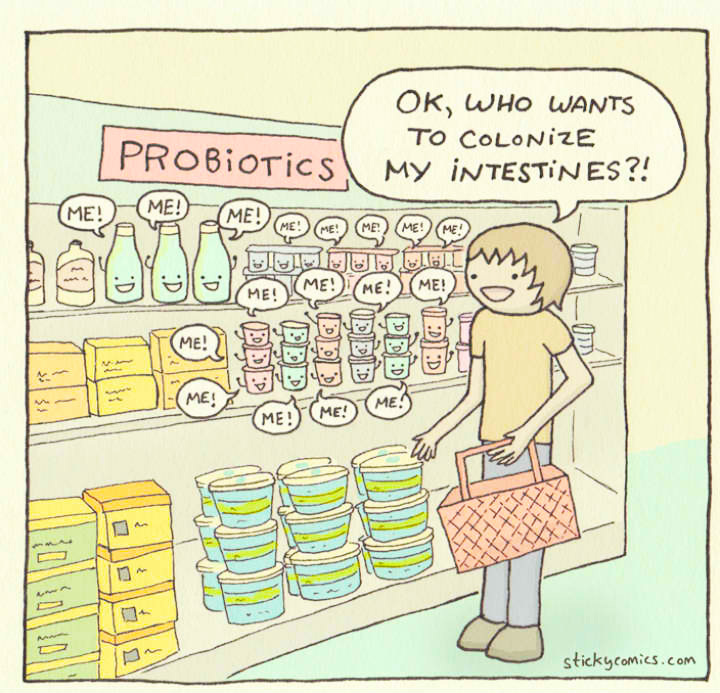 Before you run to the grocery store, understand that gut microbiota is a very new field. Researchers and scientists are experimenting but are still unsure as to the exact perfect combination of microbiota in your gut. While we now know that the bacteria can influence your health and mental well-being, the scientific community is still a ways away from recommending a specific combination. Even if they could, because of everyone’s unique combination, what can help one person may not help another. If you consume too much bad OR good bacteria, you might have unintended consequences. It is widely recognized that you must replace the good bacteria in your gut after a course of antibiotics— you’re probably familiar with acidophilus. We also know that if you have C-difficile (a disorder caused by the use of antibiotics) your last – and in many cases – the most effective treatment is to replace your gut bacteria with a loved one’s poo (eek!). While certain strains show promise in the lab, it is hard to tell what their exact effect on the human body will be and how these strains will react with other bacterial strains in the gut. A well-balanced diet rich in microbes is the best solution. Today’s research shows that if you have a healthy gut and are not experiencing any disorders, you don’t typically need to take probiotic supplements. However, they can be helpful for travel, if you are sick, or have a specific intestinal disorder. 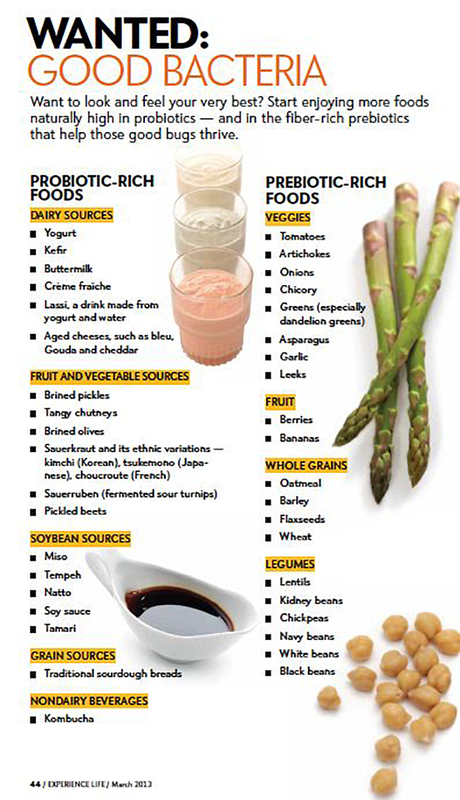 To help you out, we found a very handy US Probiotic Guide, which helps determine what probiotic is right for you. The European Society for Primary Care Gastroenterology also has a list of 32 specific probiotics that might give you some clarity. Of course, you should always consult your doctor—but this will help guide you in the right direction if you are fighting a cold, struggling with irritable bowel syndrome, or preventing diarrhea issues from antibiotics or travel. A specific probiotic cannot prevent disease, but promising research is showing that it has the potential to help treat certain diseases and gut complications. While we still cannot say for certain the amount, the type, and the mixture of probiotics to ensure perfect health, we do know that a well-balanced diet, incorporating foods that naturally contain probiotics and prebiotics, will help keep your immune system strong.